Here at Full Blast, we know how important a clean, tidy appearance is to your tenants, both present and prospective. With other factors being equal, people will prefer to rent in buildings that look clean and well-maintained. Tenant satisfaction is an important part of effective building management, and we can help you to ensure that. Full Blast has been cleaning buildings for years. 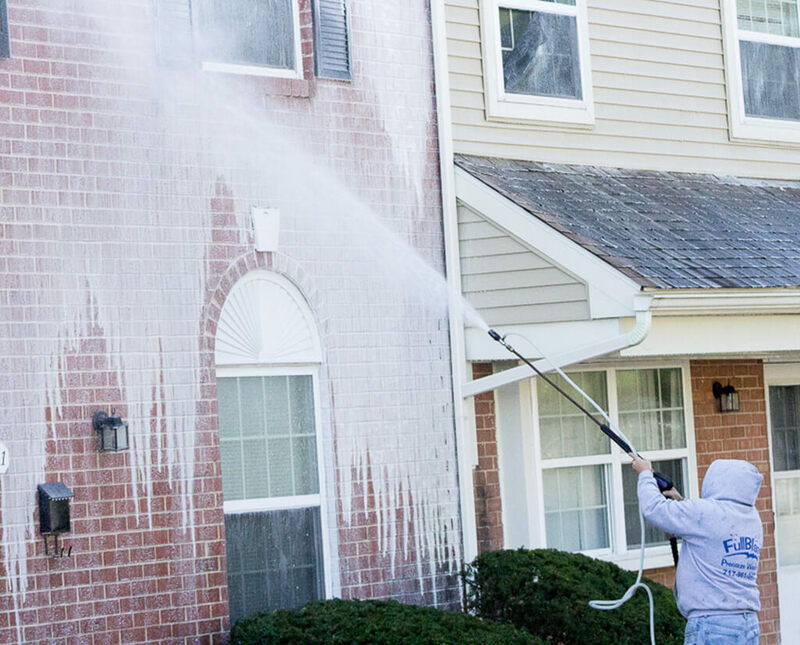 Our well-trained crews know exactly which techniques to use on the many features of your apartment buildings. 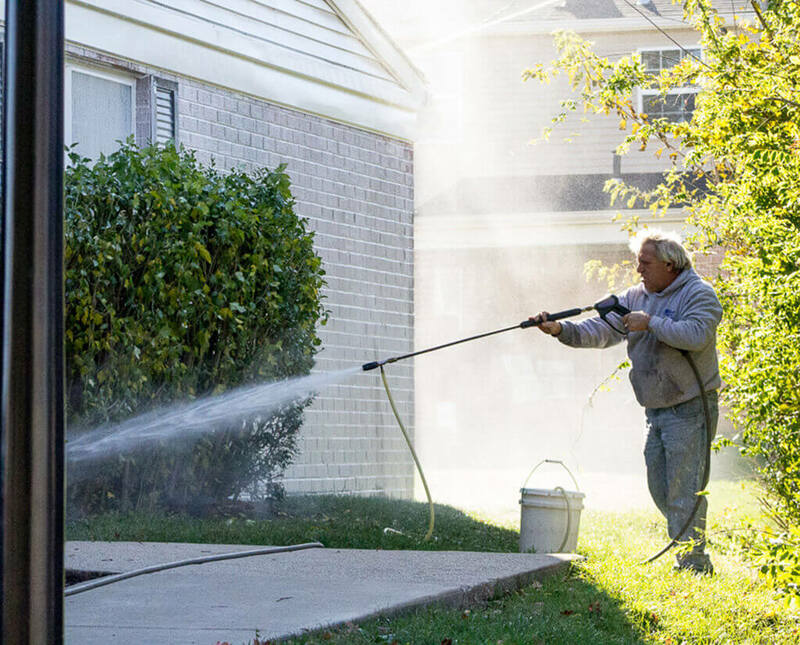 We have the experience to enhance the appearance of your property and correct surface problems that could lead to expensive maintenance if not dealt with promptly. 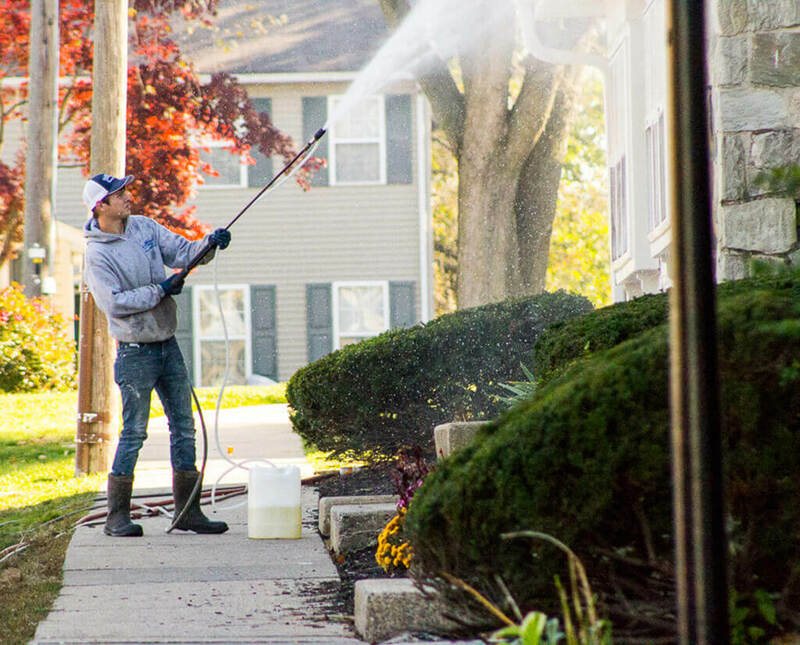 Whether you're interested in a one-time cleanup project or a regular schedule of property cleaning, we can accommodate your desires at an affordable, competitive rate. We are bonded, licensed, insured, and are eager to add you to our long list of satisfied customers. Cleans the building with detergent and a gentle, low-pressure spray to remove dirt and mildew. Mildew is worse than unsightly because it damages any surface that it lives on. Banishes slippery mildew and ugly grime, making wood and composite decks safe and enjoyable. Refreshes your high-traffic areas. We clean away grime, grease stains and gum from walks and dirt and cobwebs from walls. 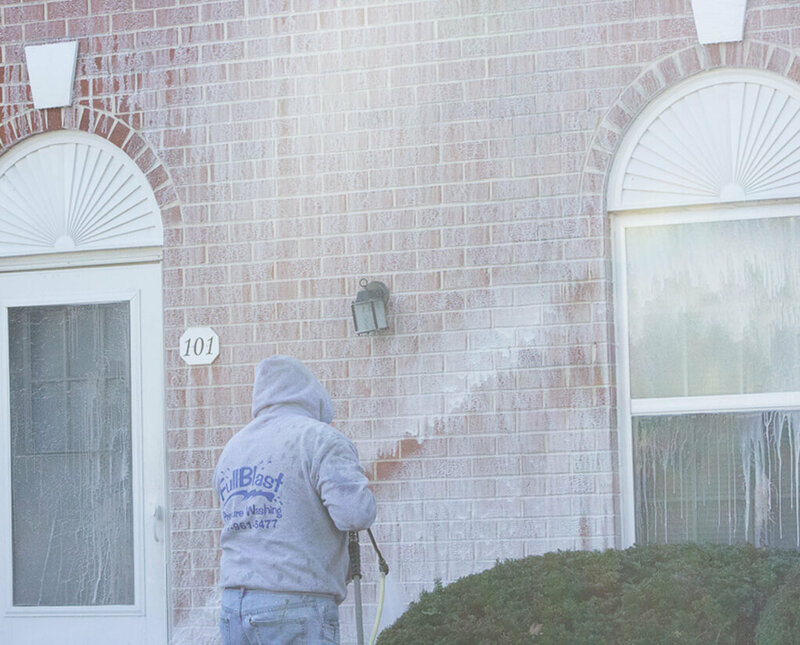 Gets the stains off of vinyl and masonry, creating a clean, well-maintained appearance. Protects the surface from stains and salt damage, making them easier to keep clean. 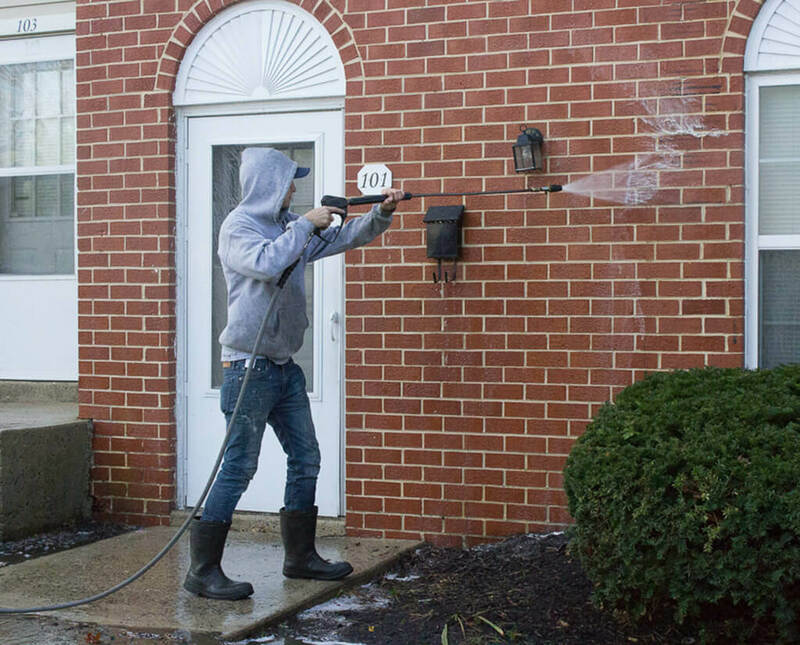 Uses our no-pressure technique to gently clean off black algae streaks and windblown dirt. Algae, if left there, will eat away the asphalt shingles that it grows on. Restores the attractive appearance of freshly-maintained wood, and adds a layer of protection from sun and rain. Removes leaves and other accumulated debris, preventing water buildup that would otherwise cause roof and water damage to your building. First removes weeds, old loose sand, and accumulated dirt. Then we refill the joints with polymeric sand, which holds the pavers in place and prevents weeds from regrowing. Then we apply a sealer that protects the surface and prevents stains or algae. Safely and easily removes grime and damaging mildew from tall buildings. Makes your awnings clean and attractive again. Restores their appearance and makes swings and slides more appealing for children to play upon.